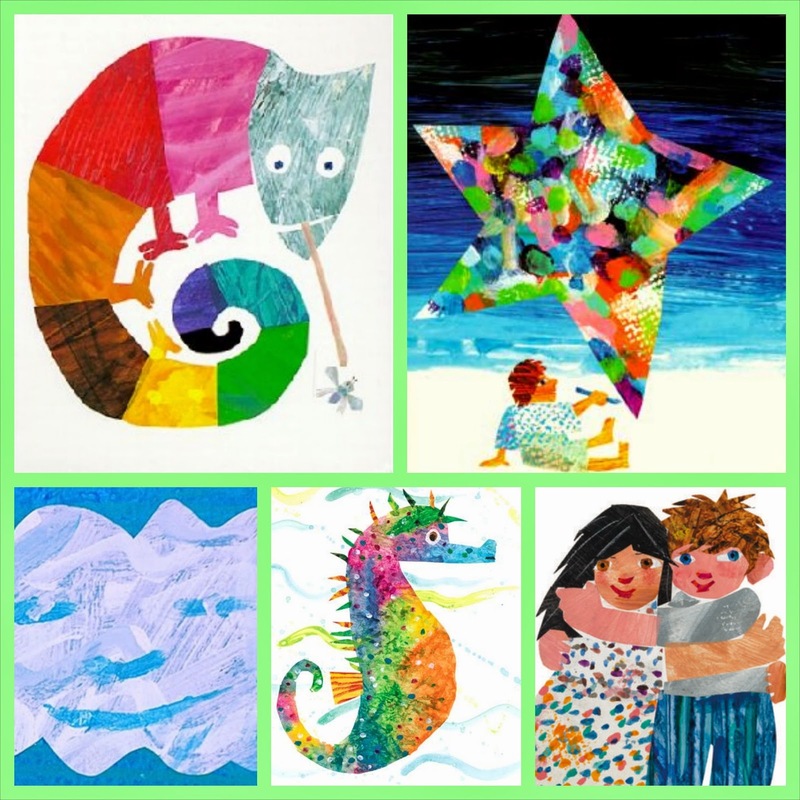 Something truly magical happens when an adult reads "The Very Hungry Caterpillar" to a child who will no doubt be in awe of this well known and loved book. 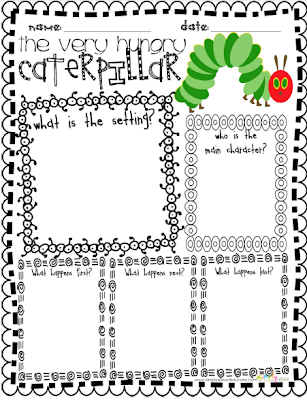 These days, the little green, red-faced caterpillar is everywhere - clothing, bibs, plates, cups, toys... I love all of the early learning that comes from this and many more Eric Carle books... Allow me to summarise (the five pictured below are key 'living things' texts I used for my recent Author Study). Key themes at the core of this well loved classic include life cycles, numbers 1-5, days of the week & healthy/unhealthy food. Here are some resources and ideas (so much inspiration out there on the web). - Have a Hungry Cateprillar shared fruit party! 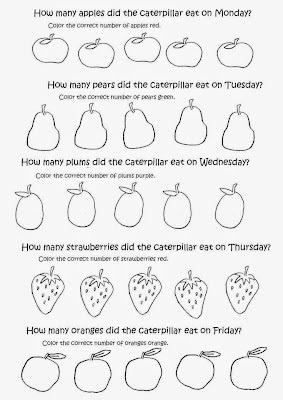 Simply purchase 1 apple, 2 pears, 3 plums, 4 strawberries and 5 oranges, ask the children to place them in the sequential order, retell the story, cut them up and enjoy them for shared fruit time. 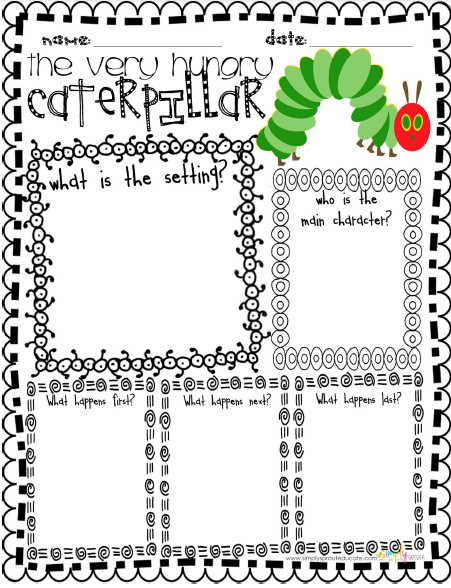 - Here's a link to a story pattern, which is great for sequencing the hungry caterpillar story! - And here's a great you tube link to watch the story. 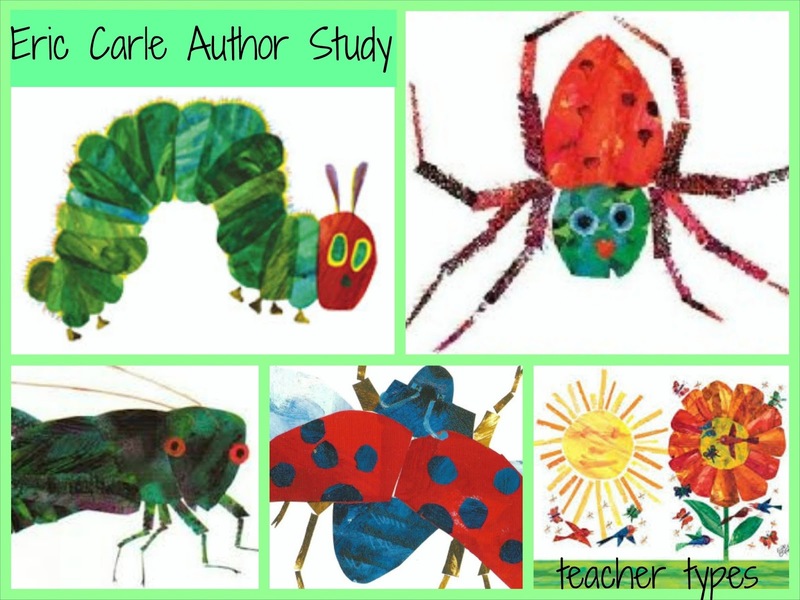 - This link has more than 60 play ideas based on the Very Hungry Caterpillar. Key themes include; farm animals, persistence & spider webs. 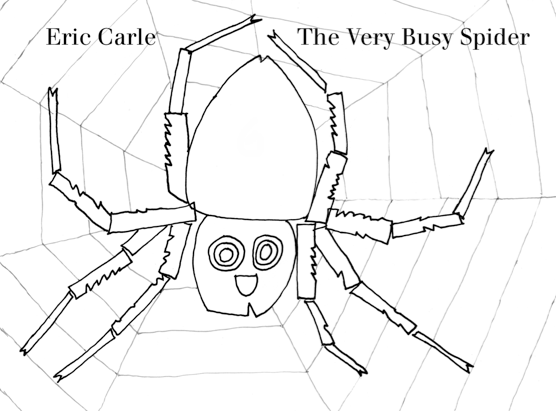 - I like this you tube link because it's the story's been turned into a song! 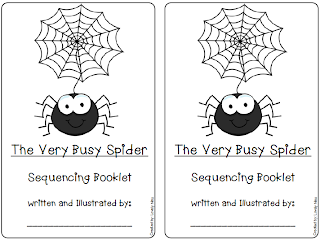 - Our class made our own "Very Busy" book, with each student writing a sentence and something they were very busy doing! 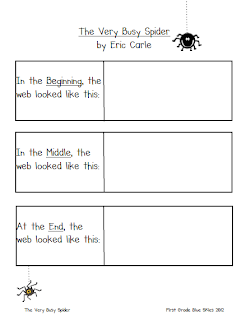 - We also created a spider web of our own by passing a roll of twine all around a circle. A great lesson in team work! This text focuses on concepts of time, size, sharing and getting along with others. 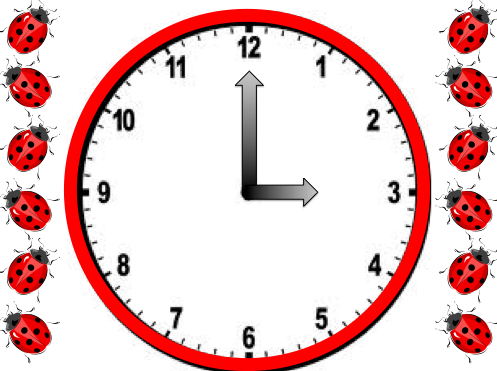 - Make your own lady bug clocks (I got my inspiration from this example I found on pinterest). 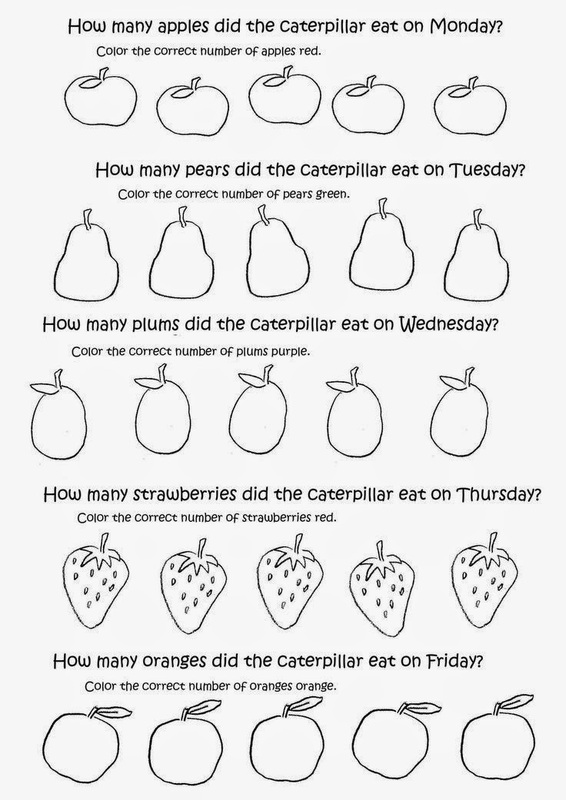 - There are many great mathematical opportunities by counting or adding spots on the ladybugs! - Engage in discussions with your students about the things that make them feel grumpy or grouchy. 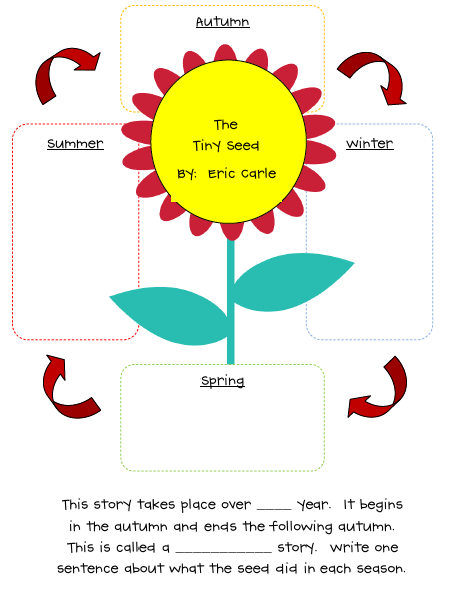 Key themes include, seasons & weather, life cycles and plants. 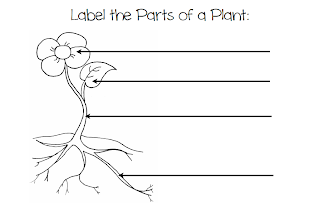 - Here's a useful link to The Tiny Seed on you tube. 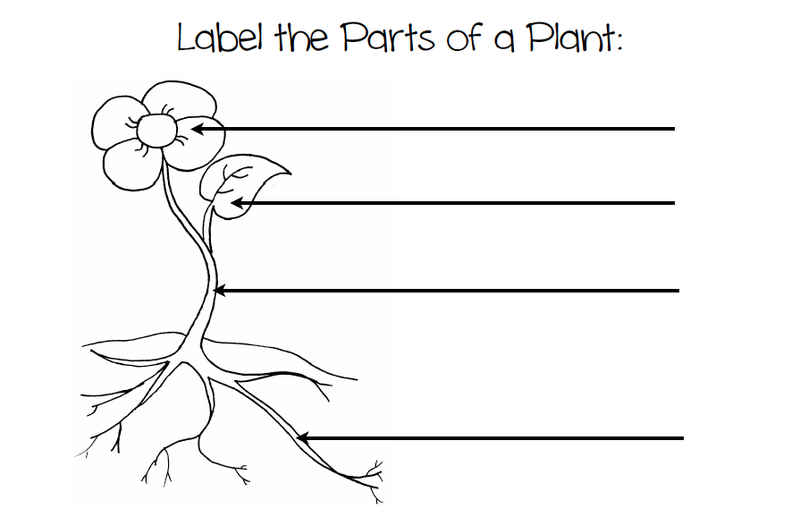 - Quite an obvious activity to go with this book is to plant your own seeds and watch them grow! We love the Live Love Beans because they have messages printed on them! - Learn about the 4 seasons and different types of weather we experience. The Very Quiet Cricket focuses on persistence and friendship. The great thing I like about this book is the variety of minibeasts you can learn about and the different noises they make. If you're lucky enough you might be able to find a copy of this book with built in sound effects on the last page - very special and will have little ones on the edge of their seats! - This website had quite a comprehensive list of a variety of activities to go with The Very Quiet Cricket. 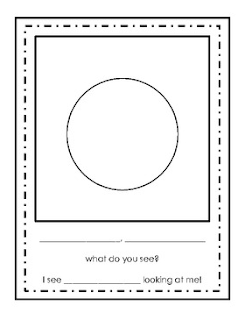 - I found this activity pack full of resources from TpT for just $3.00! - Click here for the youtube link to hear and see the story. 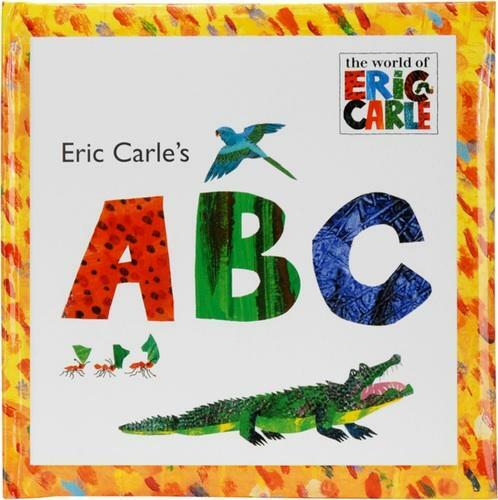 Two other timeless classics were written by Bill Martin Jr however the illustrations were done by Eric Carle. I believe the Art of Eric Carle is such an important component when engaging in this Author Study. 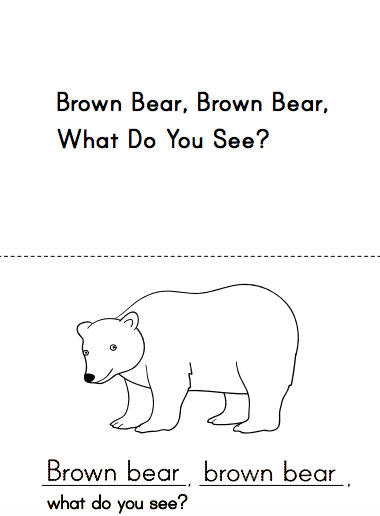 There's also a special version dedicated to endangered species called Panda Bear Panda Bear, What Do You See? - Kizclub.com is a great website I've used for years. 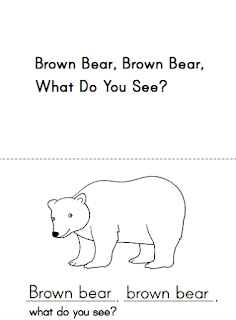 I found all three story patterns which are great for sequencing; Brown Bear Story Pattern, Polar Bear Story Pattern & Panda Bear Story Pattern. My students loved retelling the books with story patterns. 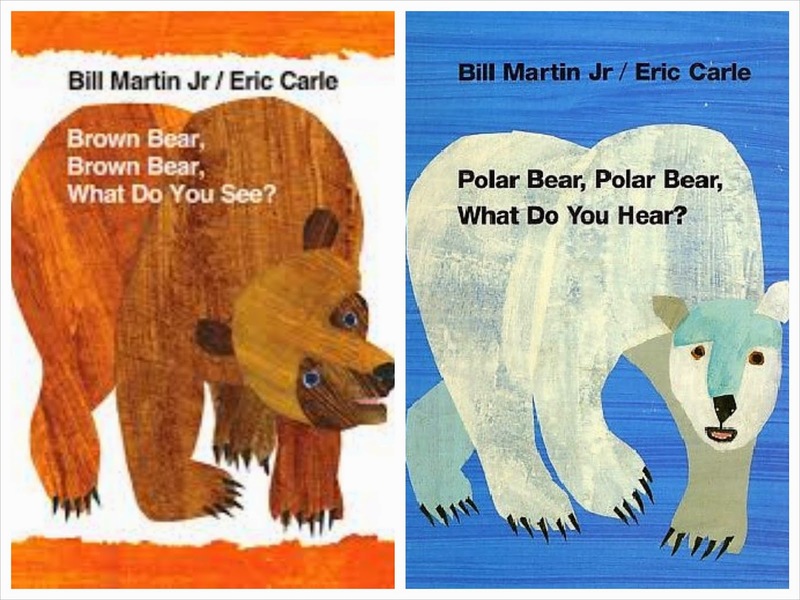 - Here are you tube links to all three books; Brown Bear, Polar Bear and Panda Bear. 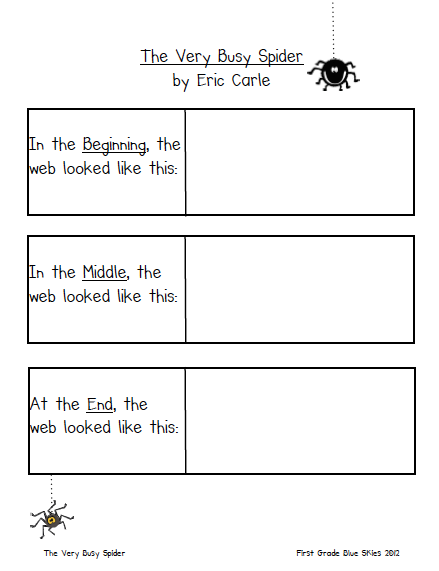 We loved making a class book using this template. 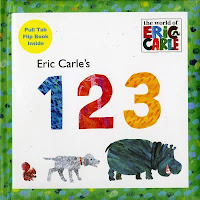 Other books in the Eric Carle series for young children are the ABC and 123 books. Miss M and I were lucky enough to go and see The Very Hungry Caterpillar Show! Click here to read my review. I highly recommend seeing it if you have the opportunity! Next Author Study for us is... Hairy Maclary and his friend Lynley Dodd. 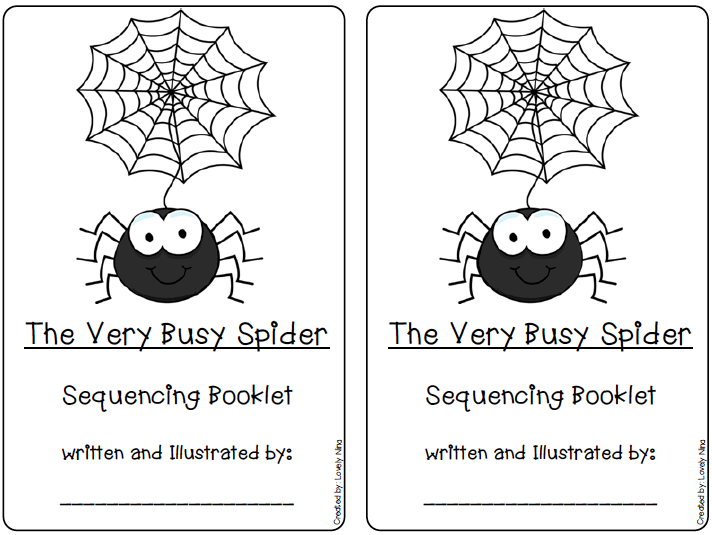 Thank you so much for posting these awesome resources. Very helpful! 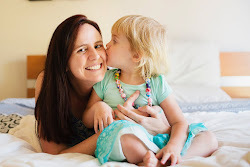 You were featured at Love to Learn Linky this week! Thanks for linking up! Thanks so much! How exciting - the first time one of my posts has been featured on another blog. That's great!